Situated alongside the bypass and near to the exhibition parks, the Hotel Mercure Rennes Cesson is within easy reach of the airport. This modern hotel offers comfortable, well-equipped rooms, conducive to rest and relaxation. Want to relax after a meeting or a day visiting Rennes ? Come and take a drink in the relaxing atmosphere of the bar, or try a speciality from the restaurant, just a short distance from the hotel. 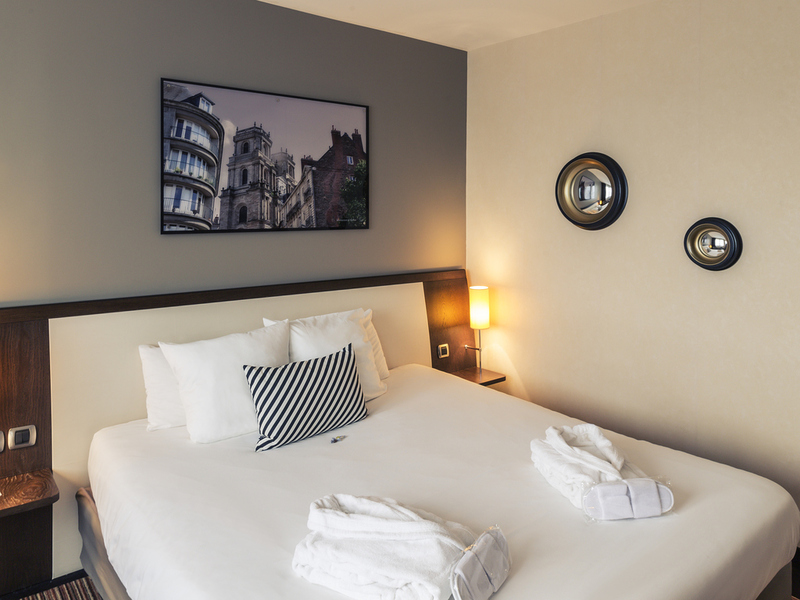 Close to the main access routes, this Mercure hotel is well placed for you to pay a visit to the Corsair city of Saint Malo or the famous Mont Saint Michel during your business or leisure break. A free car park can accommodate coaches, and with two 30m² meeting rooms equipped with all facilities, including a video projector and screen and free Wi-Fi, this Mercure hotel is perfectly placed for your business seminars as well as leisure breaks. For a perfect stay, we offer the basic and comfortable Standard Room and Superior Room to suit your needs. 2 dias de muito calor com AC no quarto avariado. Não resolveram, não trocaram de quarto. Limitaram-se a abrir as janelas para arejar (num r/ch) e pedir desculpa. Para um hotel de 4 estrelas é muito mau. Talheres ao pequeno almoço sujos. Reposição da comida muito lenta. Um funcionário faz tudo (sala de pequeno almoço e recepção).